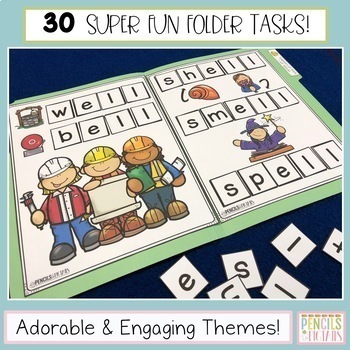 Short A Word Family Folder Tasks - Centers, Morning Work, and Early Finishers! 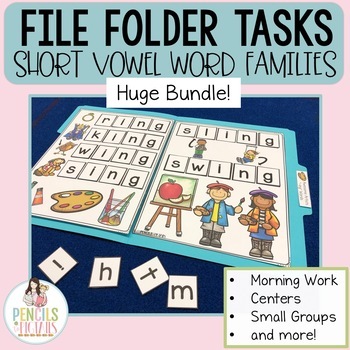 Short U Word Family Folder Tasks - ELA Centers, Morning Work, & Early Finishers! 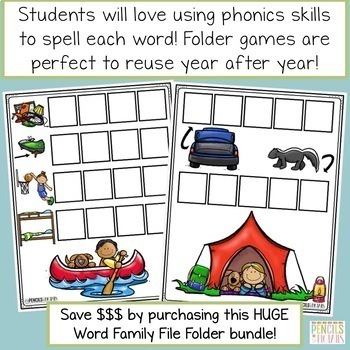 These Short Vowel Word Family File Folder Tasks are perfect to keep students engaged while giving them vital word building practice! Your students will love all of the beautiful illustrations and you will love all of the independent practice students are getting! 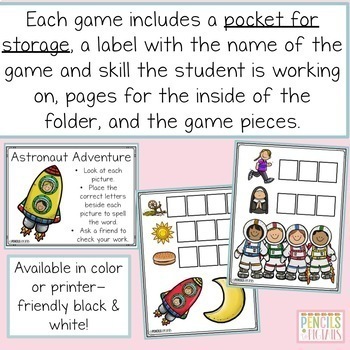 In this resource, you will find 30 unique games with a pocket for storage, folder label, tab label, backgrounds, & all of the pieces in color options & black & white!